Grind the above roasted mix and keep aside. In a pan heat the oil and splutter the mustard seeds. Add 2 red chillies and saute in low flame till it is slightly dark red in colour (Again so not blacken by over cooking it. Add onion in to it sauté till it is translucent. Add ginger and garlic paste and sauté till the raw smell is gone. Add the turmeric and previously prepared pickled masala. In to it and add bit of oil and cook for few seconds( Do not burn or darken it). Add paneer cubes and sauté a bit. Add curd and salt in to it and cook for a minute or two. 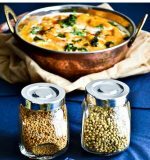 If you like the taste of kasuri methi add ½ teaspoon of crushed kasuri methi just before removing the pan from the flame. Can add basen to avoid the cuddling of the curd immediately after adding the curd. Cashew powder can be added a minute before removing the pan from the flame, which is optional. To make no-garlic, no onion version of Achari paneer , instead of garlic and onion onion just add tomato and saute. 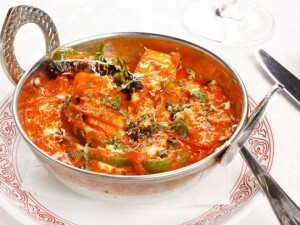 Other Paneer dishes might be interested.